achieve your goals on your own, with no one helping you. Rahu, the dragon’s head transits your house of profits from March. Rewards from a commission-based work are likely for you. 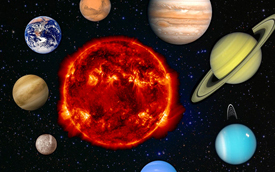 Around the end of April, Jupiter as well as Saturn is retrograding. Children related problems could cause stress. Difficulties possible in their studies and they will need to work hard for success. Mars debilitates from 22nd June to August into Cancer sign. Keep your expenses in control and spend wisely. 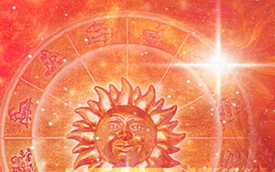 The 2019 Leo Horoscope suggests you to remain alert towards domestic issues and avoid carelessness. Relief is likely after the month of September. Be careful while making any financial transactions. The month of November looks good for your income and profits, Leo. Around the end of the year, destiny and hard work will bring you accomplishments and honor. From 30th March 2019 onwards, Jupiter will be in Scorpio in your 4th house, Leo. Then from 30th March to 22nd April, it will move to Sagittarius, and again from 22nd April to 5th November, it will transit Scorpio. Here, Jupiter will retrograde from 10th April to 11th August 2019. Leo, Saturn will be in your 5th house in Sagittarius for the entire 2019, where it retrogrades from 30th April to 10th September. As 2019 starts, Rahu is transiting Cancer and from 7th March, it enters Gemini, where it transits for the rest of the year in the 11th house. Ketu enters Sagittarius in your 5th house, Leo from 7th March. Mars will transit your 8th house in Pisces at the start of 2019, Leo. 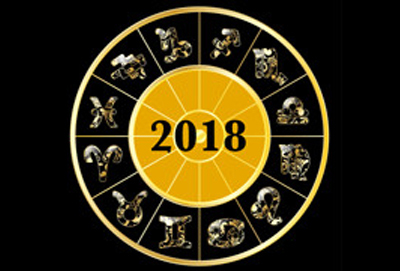 The 2019 Leo career horoscope greets you with new opportunities on the work front that are likely to bring you success and profits. Your confidence and courage allow you to overcome any difficulties easily. The beginning of the year may see profit and frequent work related trips. Around the months of March and April, investing in your line of work is indicated and gains will come at the hands of your own hard work. Your 2019 horoscope suggests you not to invest or start a new partnership after the month of April. Some job related confusion might prevail till mid-2019. If planning to invest in a new business, the time after September 2019 seems profitable. Strictly avoid considering a job change around mid-year out of anger or greed. Stay in tune with your seniors at work. Your contribution in a big project will earn you appreciation and a possible promotion. Leo, your 2019 career horoscope also looks promising for a desired work relocation or transfer. A raise in salary and promotion look possible after September. This period may also bring you a suitable job offer to a desired work location. A work related trip might take you abroad and will keep you very busy. Near the end of the year, a clash is possible with a worker, and you must handle this patiently and diplomatically. Leo, your 2019 financial horoscope indicates stability and progress. Your sources of income seem to increase this year. A religious trip or work may cause expenses. Investments in a new land or property look profitable. Planetary positions favor purchase of a new vehicle this year. 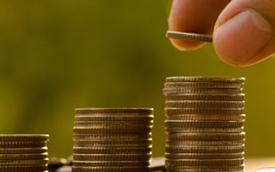 Profits from parental wealth will further improve your financial condition. Around mid-2019, avoid investments of any kind or a heavy expense. Expenses on children will rise between June and August 2019. Around mid-year, expenses seem to be on a rise and you should be very careful with your spending manners. Make any monetary transactions with care. Profits and gains appear to increase after September, followed by fruitful returns from earlier investments. Leo, your 2019 finance horoscope favors long-term investments in the share market.From November onwards, sudden gains are likely. You may plan to invest along with a female this year, Leo. Leo, you are a passionate lover with high expectations. 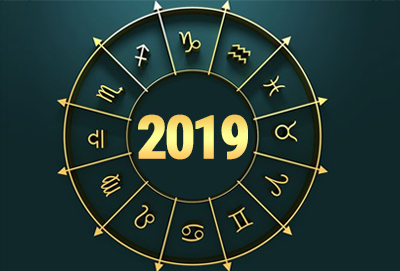 Your 2019 love horoscope brings promise of plenty of romantic outings with your partner, which may include long journeys and spending of quality time together. Love life seems to flourish and your relation would grow stronger emotionally. If in a relationship, misunderstandings are possible due to a third person’s involvement. If you are single and searching for your special someone, you will finally meet your soulmate in 2019. However, be very careful before taking a decision and avoid jumping to conclusions. Chances of a love marriage seem strong around the end of the year. Marriage life appears turbulent in 2019, Leo. 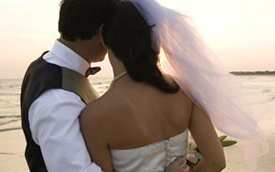 Plan a foreign trip with your spouse for betterment. Saturn is retrograding from April to September 2019. Old issues might resurface and cause problems in your marriage life, as depicted by your 2019 love and marriage horoscope, Leo. Surprises and gifts will do the trick and bring back the lost spice in your marital life. Stress related to children might keep you troubled. Work on such issues patiently as a team. Around November, your partner may earn an accomplishment that will bring happiness in your family. Support and encourage them wholeheartedly. Leo, your 2019 health horoscope hints at some difficulties this year due to a prolonged illness. Be careful towards any ongoing illness, as it may create problems after March. Stress and tension can slow you down. Stomach related issues are possible. After June, drive very carefully Leo, and avoid any clashes or arguments. Mostly, your energy levels seem good and you will largely be enthusiastic. The 2019 Leo horoscope shows a busy schedule due to frequent traveling. Profitable trips abroad are depicted. You may plan a pilgrimage with your mother around March. Make sure your father does not travel around June. Leo, an unexpected journey might come up now, where you might have to travel again later. Your 2019 travel horoscope says work related travels might take you abroad and would bring new projects and work opportunities for you. Leo, 2019 starts with some expenditures on your family. The 2019 family and health horoscope indicates chances of a minor clash with a family member, which may result in mental stress. Avoid arguments with elder siblings this year. Leo, take time out for your mother and listen to her patiently, as it will bring her peace of mind. Around mid-2019, be careful towards your father’s health. A female might cause quarrels within your family and you should stay alert. 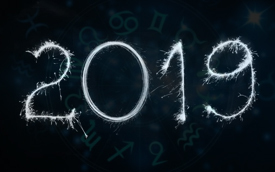 Your 2019 horoscope speaks of a possible religious event in your family around August, where you might not be invited by mistake. Be mentally prepared. Leo, your 2019 children horoscope points at rising expenses on your children this year. Remain cautious about their health from mid-April onwards, as an accident is possible. The 2019 horoscope shows improvement in their studies after August and chances are they may go abroad for further studies. Admission in a school or college of their choice is quite likely. Leo, if your kids are preparing for an exam or competition, support them to boost their confidence and get the desired results.